Patented design frames title page for a custom cover look. Six pockets efficiently organize your presentation. Stores CD for convenient updating of documents. Durable polypropylene perfect for frequently referenced documents. Patented design frames title page for a custom cover look. Die-cutholders for CD and business card. 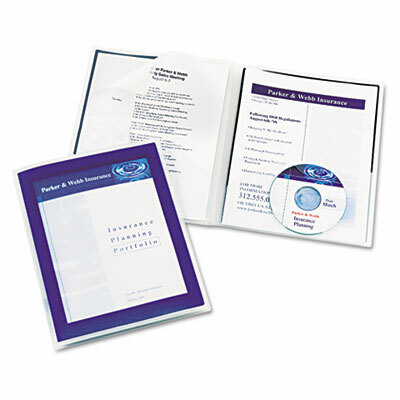 Durable polypropylene is perfect for frequently referenced documents.